Join Abercrombie & Kent, AAA, and Naples Zoo Directors for a custom-crafted tour through northern Tanzania's world-famous national parks. Each departure is limited to 9 couples as we'll be experiencing some intimate luxury camps specifically chosen for their location and amenities. 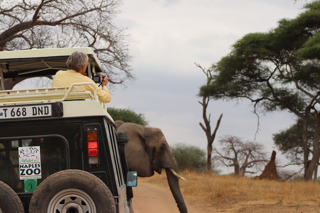 And everyone gets a window seat in our open-top safari vehicles to experience Africa up close. We'll observe the king of beasts as well as wildebeest herds roaming the plains. You'll also meet the famous Maasai people, travel among elephants through giant baobab trees, take in the history of Olduvai Gorge, and so much more. Along the way, we'll stay in exotic safari accommodations beginning with Hatari Lodge and its stunning views of Mt Kilimanjaro all the way through three luxurious nights at the world-renowned Four Seasons Safari Lodge Serengeti. Along the way you'll awake to amazing views from the rim of Ngorongoro Crater and experience classic tented camps in Tarangire and Serengeti! We'll even visit one of the exciting conservation projects supported by Naples Zoo. 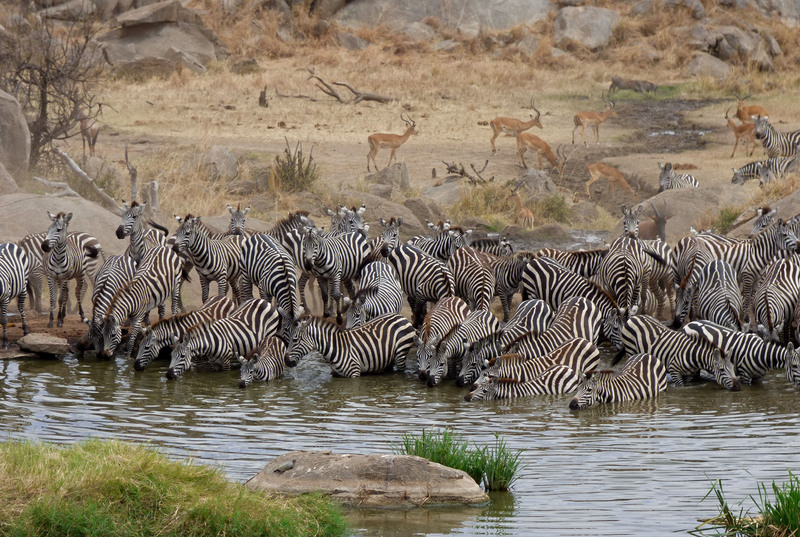 This tour was crafted from the start by Naples Zoo staff who have been hosting safaris for years and is being coordinated by Abercrombie & Kent, world famous for their African safaris for decades. Plus you'll get the professional service and worldwide connections of our local AAA Travel agents. And you'll enjoy it all with Naples Zoo! The September departure is hosted by Naples Zoo President & CEO Jack Mulvena and his wife along with our Director of Conservation Tim L. Tetzlaff. The October departure features the best of both plant and animal knowledge with your hosts Director of Animal Programs Liz Harmon and Director of Gardens Danielle Green! With just 9 couples, you will get the personal connection to the Naples Zoo professionals who have recently traveled through these parks. You'll even enjoy a pre-trip meet and greet where you can get to know your fellow travelers and have all your questions answered. We'll also offer a photo class to review equipment suggestions and provide tips for taking pictures on safari. And a few months after you return stateside, you can relive your African memories at a reunion party at Naples Zoo! DOWNLOAD ITINERARY PACKET (PDF) with bio on your hosts and more lodging info. Cost includes internal airfare, tips and gratuities to Driver/Guides, local staff, and drivers plus airport transfers, service charges, taxes, national park admission fees, and porterage. Naples Zoo Hosts Do Not Need Tipping. Pricing reflects this exclusive Naples Zoo departure hosted by Naples Zoo's senior staff as well as pre-departure meet and greet with additional travel tips, checklist review, and general Q&A. Participants also enjoy photo/camera Q&A help, post-trip reunion party, and post-trip photo sharing. NOTE: Pricing does NOT include international airfare, laundry or alcoholic beverages excepting as described in itinerary. For more info or to book your safari, call Theresa Perez at AAA Travel at (239) 594-5006 ext 2251.